There are immediate benefits that can come from working with startups for large corporations – an innovative new product, a market disruption or preventing a competitor from laying hands on the latest and greatest technologies. But there are also more intangible and arguably longer lasting benefits to collaboration. Corporations often look to startups to help them with innovation and that doesn't just mean providing them with new ideas, it can also mean helping them to change the mindset of the existing employees at the company. 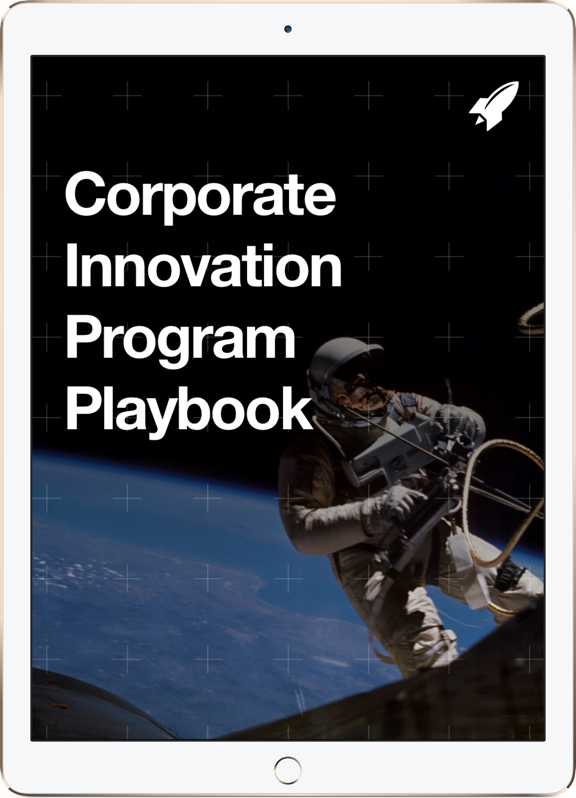 A new approach to innovation within the company is frequently the key takeaway for corporations working with startups and the top learning for both multinational technology firm Cisco and global aeronautics company Airbus. For both firms, collaborating with startups has brought startup innovation inside the company walls and helped to spur innovation within their own ranks. “We have taken lessons learned from startups and infused them into our own culture," says Alex Goryachev, Senior Director of Strategic Innovation and Programs at Cisco Systems. 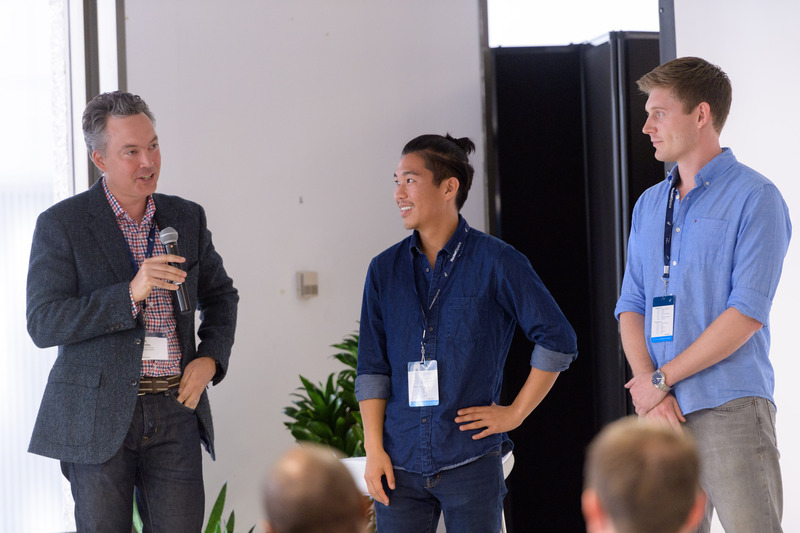 Cisco launched a company-wide Innovate Everywhere Challenge for all 72,000 Cisco employees across every function and geography and had nearly 50 percent participation globally. The challenge equips all employees with resources, mentors, training, and funding to think and act more like entrepreneurs in a startup. “We are experiencing a cultural transformation now where employees are more empowered to tap into their passions, form their own teams and co-develop solutions through the four phases of a lean startup: Ideation, investigation, seed funding, and development. As a result, employees are learning to think more creatively, focus on customer results, move faster, take risks, and experiment. It's an extraordinarily exciting time at Cisco for any employee to discover their inner entrepreneur," Goryachev says. That friction between intrapreneurship and entrepreneurship was so important to Airbus that it was the basis for the format of its accelerator BizLab. Bruno Gutierres, Head of BizLab, explains that Airbus takes internal projects and pulls the team involved out of their own department to act as a startup alongside the other startups BizLab mentors during a six-month-long accelerator. “We asked ourselves, why do we want to have an accelerator?" says Gutierres. “To answer that, we came back to the mission, which was to open up internal innovation and be more business-minded instead of just technology-minded. The best way to learn is to do, the best way to learn to be an entrepreneur is to spend time with entrepreneurs." For Airbus employees who end up running a project at BizLab, there are three outcomes. If their project is successful, it can be turned into a new department within Airbus which they will lead, offering them the opportunity to take their idea from a seed into a working part of the company. Or, Airbus may even decide to spin off their idea into a separate company. In the third instance, where the project isn't viable, the employees return to their former departments, but there they become evangelists for change within the department, Gutierres says. The idea of failure, whether applied to entrepreneurs or intrapreneurs, isn't a problem for Airbus because the company no longer thinks of projects in those terms. If a project comes up with an idea that answers a question and then the answer turns out to be no, as Gutierres puts it, that's still an answer. This new attitude has also changed how Airbus looks at new products. “One of the key learnings we have had from startups is first do not fear to create but then do not fear to go very quickly in front of your customers for feedback," he says. “Like any big engineering company, we thought for a long time that before you went in front of customers, you needed to have a very perfect product. Which from time to time didn't work because you ended up creating a product based on your own instructions instead of customer wishes. But startups, as soon as they have a working prototype, they go in front of customers to test it. This is one of the lessons we've learned – don't be afraid to go in front of your customer to test an idea." Not everything that works for startups can work the same way for big companies. Cisco's Goryachev cautions that large companies can't try to turn into a startup. “Corporations' size, structure and core business focus inevitably slow the pace of innovation you see in a startup. Large companies tend to be more disciplined and risk-averse than startups. Decisions in big corporations also tend to be made in a more structured or hierarchical fashion, whereas the startup environment is more like a team sport where the playing field is level. Whereas big corporations excel at scaling new solutions, startups shine by constantly innovating disruptive ideas. The trick for a large company is to find a balance between its existing culture and infusing it with startup elements," he says. Gutierres agrees, saying that cultural change at a large company takes time. But wanting to work with startups and recognizing the value in collaborating with more agile early innovators is often enough to get that change started. “The idea of being business-minded, the necessity of working with startups is now something that is largely shared. That was not the case a year and a half ago when we decided to create this accelerator. Back then, a lot of people didn't think that a small startup could help us to build and manufacture aircraft. Now the mentality has strongly changed, everybody admits that there is a value to working with a more agile structure," he says. Working with startups has also encouraged Airbus to look outside of the aeronautics industry for innovation and inspiration. “For decades, we only worked with aeronautics specialists and suppliers in a very conservative way and now we look at what's happening outside our natural boundaries in other industries - this is probably the major impact," Gutierres says. At Cisco, working with startups also means looking at the big picture of the technology industry, not just what might be the next big product but what's affecting the market. “We track and take advantage of market transitions, such today's massive digitization of countries and companies. We relentlessly focus on the needs and outcomes of our customers, listen to our partners and embrace change – even when it's highly disruptive," Goryachev says. Whether you're talking about how large companies innovate, how they look at the market or how they develop and launch new products, these takeaways all have something in common – a change in mindset. Large corporations are learning from startups that the entrenched mindset might not work and to shake their employees and managers out of old ways of thinking, they need to change how they work. While Airbus is pulling employees out of their departments and landing them with a project in a startup accelerator, Cisco is getting people from different departments to work together. “One other important ingredient we've learned is to bust up business unit siloes and encourage employees to form cross-functional teams. As I mentioned before, startups are like team sports where each player has a specific role. Engineers working with engineering won't lead to anything innovative. However, if you add someone from marketing, sales, finance or HR, then you get different perspectives that can truly ignite innovation. We also know from research and our own experiences that innovators thrive and engage more when working on inclusive and diverse teams," says Goryachev. Once corporate employees have been shaken up, innovation often follows, but that's not all they learn. They learn to embrace failure, so they're willing to push ideas earlier and change their direction when they get feedback from customers. They learn to look everywhere for inspiration, not just within their department, or their company, or even their industry. These cultural shifts in large corporations take time, but once seeded, they spread, bringing the best of the startup world and corporate culture together. Looking for more ways to bring startup innovation into your company? Contact us to see how we can help or check out how we work with corporates.